Ah, October’s dying light begins early on a Sunday night. Everywhere, the fields are tinged with orange as the mist descends on County Kerry. It is the habit this time of year for farmers to stop milking Sunday evening to have a full on family day. 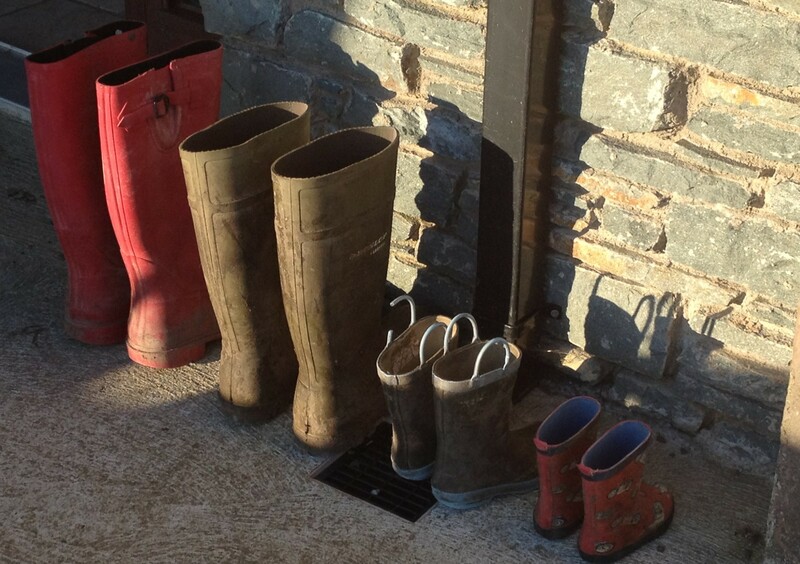 A farming holiday, unofficially. This evening, as I drive from the local town home to the man and boys in my life, the country holds its breathe. When Ireland plays we’re like a country of first cousins. Can we do it? Surely. Our country plays rugby against France and later soccer against Poland. We’ve one game down, the collective ‘we’ have beaten the French. We did it. As the cousins gather in front of the television sets in awe of the crowds singing the ‘fields of Athenry’ thar lar; the countryside is almost abandoned. I run in the door just in time to celebrate the final try by Ireland, we beat the French. It’s a great country you know. The light is all but gone now and the country is reawakening as the farmer walks out the door farming the green fields that inspire our song. He waves as he runs out the door and I call him back and say it quietly. Imagine. I know he says, don’t say it he says holding his hand up. Imagine if we did it? Shhhh, imagine if we won the World cup? And for tonight in this Irish orange mist and twilight, anything is possible. This entry was posted in Uncategorized and tagged beauty, farming, ireland verses france, scenery, world cup on October 11, 2015 by annebennettbrosnan. There’s nothing like the light in October. We were just admiring the gorgeous pink sunset last night as we watched and heard the loud droning of the harvesters working overtime to bring in the crops before the weather turns. Yes,wouldn’t it be great if Ireland won? Dare we hope?